Holocaust survivor and memoirist most well known as the stepdaughter of Otto Frank, the father of Margot and Anne Frank. She eventually went on to release her own memoirs titled Eva's Story: A Survivor's Tale by the Step-Sister of Anne Frank, The Promise, and After Auschwitz. After Austria was annexed to Germany, her family moved to Belgium and then the Netherlands. Her family was betrayed to the Nazis in 1944 and taken to the concentration camps where her father and brother eventually died. After earning her degree in art history at the University of Amsterdam, she went on to co-found the Anne Frank Trust UK. Her parents were Erich and Elfriede Geiringer and she had a brother named Heinz. Her mother married Otto Frank after the end of World War II. 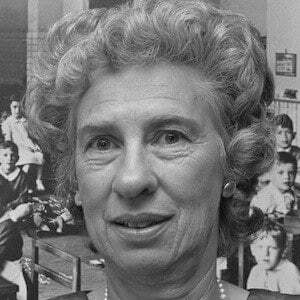 Her husband, Zvi Schloss, was also a refugee of the war and died in July of 2016. Both she and Martin Gray are holocaust survivors who went on to release memoirs of their experiences during the war.